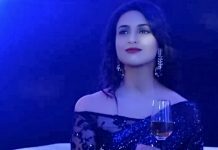 Yeh Rishta Major drama. Naksh hears Kirti’s voice on the handsfree and rushes to check on her if its really true. He goes and finds her awakened. He gets very happy. He really feels the auspicious omen because of Krish. The family holds tears of happiness and positive hopes. Naksh shouts to everyone that Kirti has woken up. Dadi says our Kirti has come back, I will keep a big havan for her. Everyone is too happy for Kirti. Naksh says Naira had the most belief and it turned true. Naksh calls for the doctors to get Kirti checked, since she appears weak and pale. Kartik’s smile vanishes on seeing his sister back. Everyone asks Kartik about his weird reaction over Kirti’s recovery. Kirti asks Kartik to give her baby to her. Kartik meets Kirti with a heavy heart. Kartik thinks of telling the truth to Naira. He takes the baby from Naira and tells her that the baby doesn’t belong to them. He breaks the truth that Krish is actually Kirti’s child. He empties Naira’s lap once again. Naira gets a big shock with this revelation when she loses her child. Doctor turns up to check Kirti and gives the good news to the family that Kirti is completely fine now. 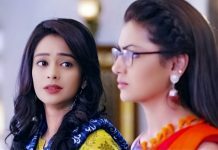 Everyone gets worried when Kirti asks them to get her child. Kartik doesn’t reveal anything about the child. Doctor tells them that he has to check Kirti further and sends them out. Kartik avoids Kirti’s questions for a while. He gets some time to think of a solution, knowing Naira won’t be able to give the child to Kirti. Kartik’s lie will be very soon getting revealed. The child drama will be bringing major issues between Singhanias and Goenkas. Naksh’s fatherly feelings for Krish will be awakened as well. Naksh will not be forgiving Kartik for pushing him into the well of sorrow and pain by his big lie. 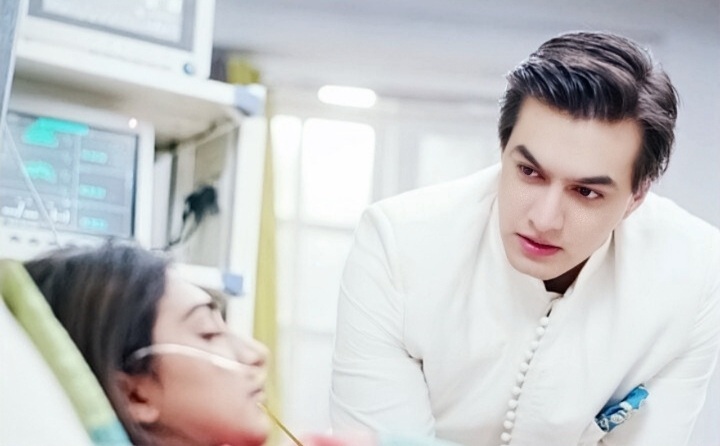 Kartik will attempt to justify his lie by mentioning Naira’s sick state. Will Kartik tell the truth to Naira or get cheating Kirti once again? What will be Kartik’s big decision? Keep reading. Ilaychi and Pancham have a romantic moment while they celebrate Valentines day. Ilaychi learns a shocking truth about him and gets too angry. She can’t believe that Pancham is already married. She scolds him and tells him that she got to know about his child marriage. He tells her that its a big lie, he hasn’t met any such girl in his life. She asks him not to lie to her. She tells him that she hates him a lot. She throws all his gifts. This news of child marriage breaks her down. He tells her that he wants to tell her a secret about his weaknesses. Ilaychi doesn’t believe him. She gets Pintu and asks him to tell the truth about Pancham. Pintu unknowingly gives the statement against Pancham, thinking he is supporting his friend. Pancham asks Pintu why did he put him in trouble at the name of help. Pancham wants to clear Ilaychi’s doubts and get his love back on the right track.